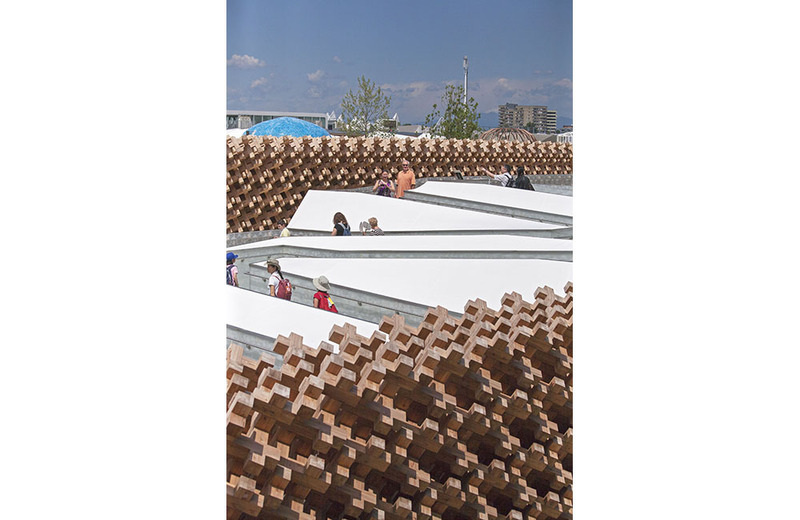 ミラノ国際博覧会日本館　／　EXPO Milano 2015 JAPAN PAVILION | 北川原温建築都市研究所 | Atsushi Kitagawara Architects Inc.
北川原温建築都市研究所 | Atsushi Kitagawara Architects Inc. 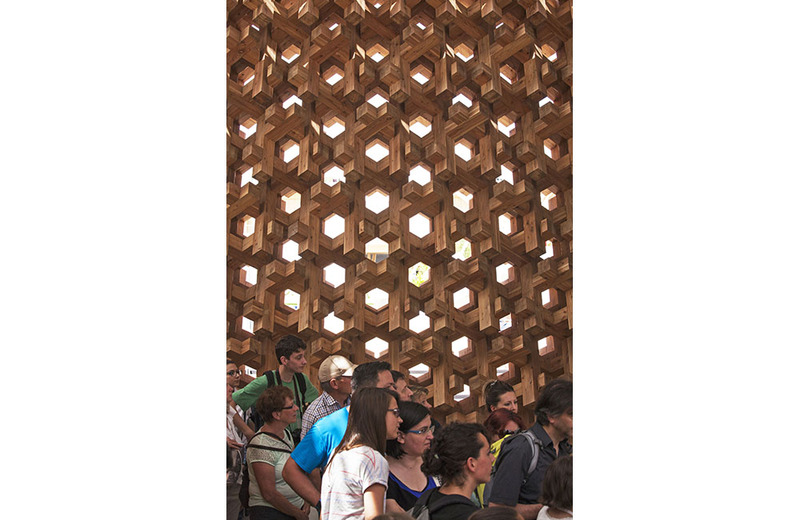 The use of the renewable resource of wood for the pavilion connects it to issues of forest maintenance and protection. Forests promote the creation of water rich in nutrients, which is then returned to the land and the seas, stimulating the creation of the diverse food that people eat. The use of trees and lifestyles of people have been closely connected within satoyama (natural woodlands that coexist with nearby populated areas) in Japan since ancient times. 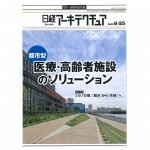 Within these communities, Japan has fostered ideal recycling-oriented societies. 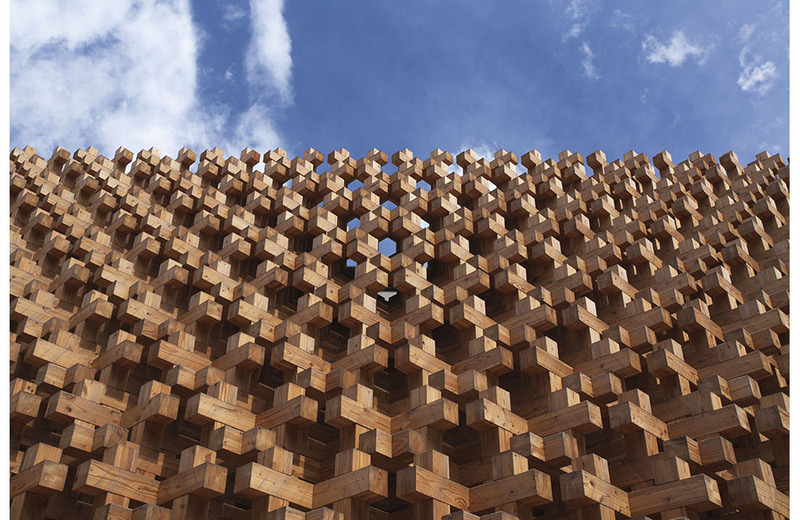 The Japan Pavilion will adopt a three-dimensional wooden grid as construction materials that embody “sustainability”, one of the keywords of Expo 2015 Milano. 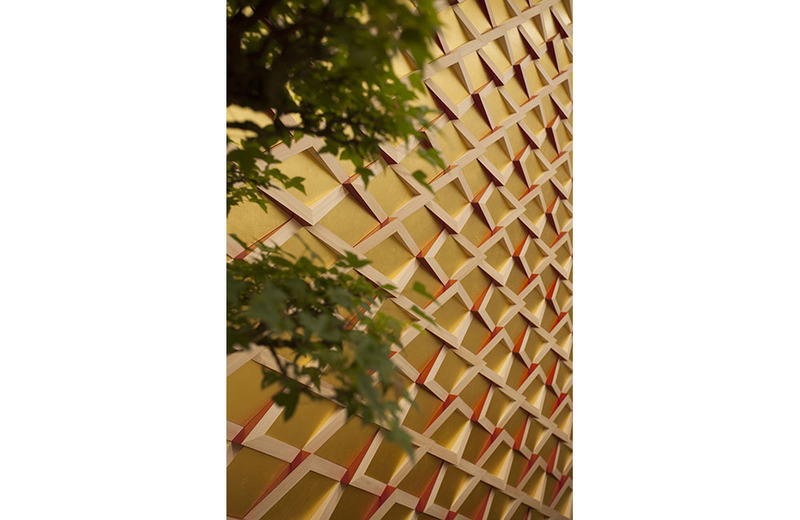 The three-dimensional wooden grid will symbolize the origin of Japan’s diversity – our four seasons, nature, ecosystem and food. 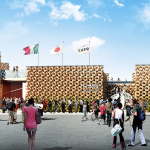 The pavilion will take the shape of a “bowl of diversity”. 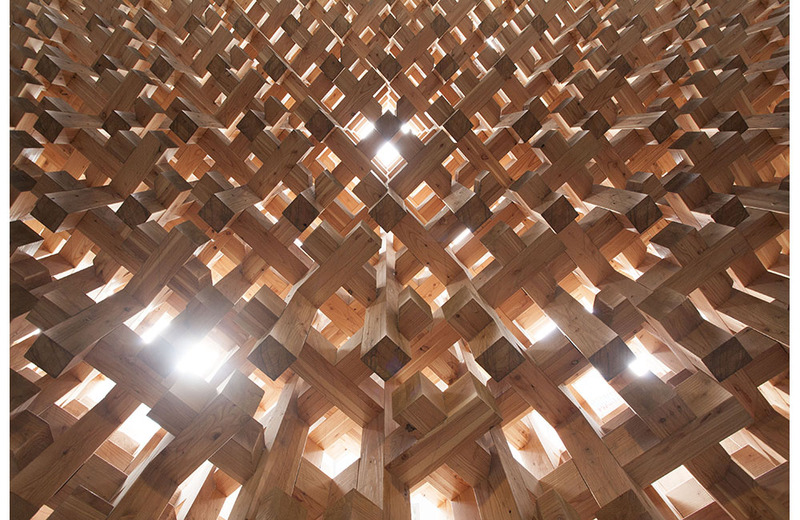 The traditional wooden construction techniques of Japan – epitomized in Horyuji Temple – use “a compressive strain method” in which pieces of wood are connected together with couplers and joints for support. 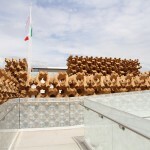 This results in constructions that are extremely resistant to earthquakes; a kind of building that has sometimes been called “living construction (or life theory construction)”. 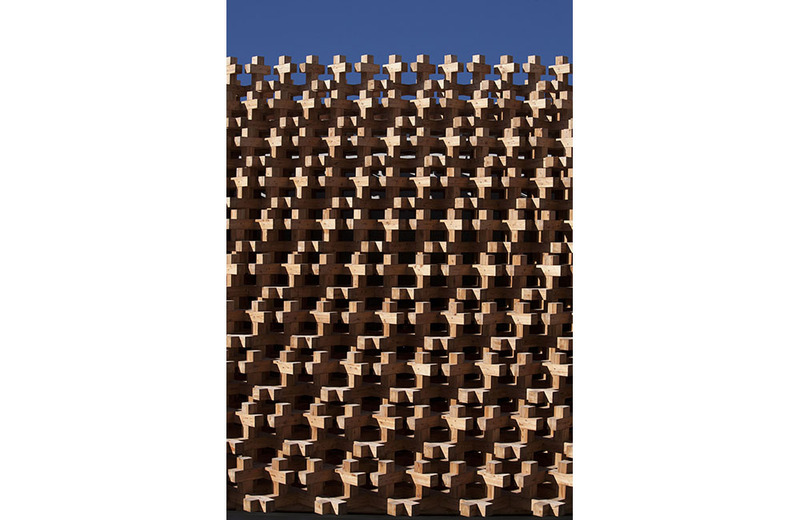 The pavilion, created from a three-dimensional wooden grid, will be the first ever to use both traditional construction knowledge about wooden frameworks and the modern analysis and application techniques used for “the compressive strain method”. 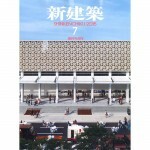 This will result in truly innovative construction that fuses Japan’s traditional culture and advanced technology. 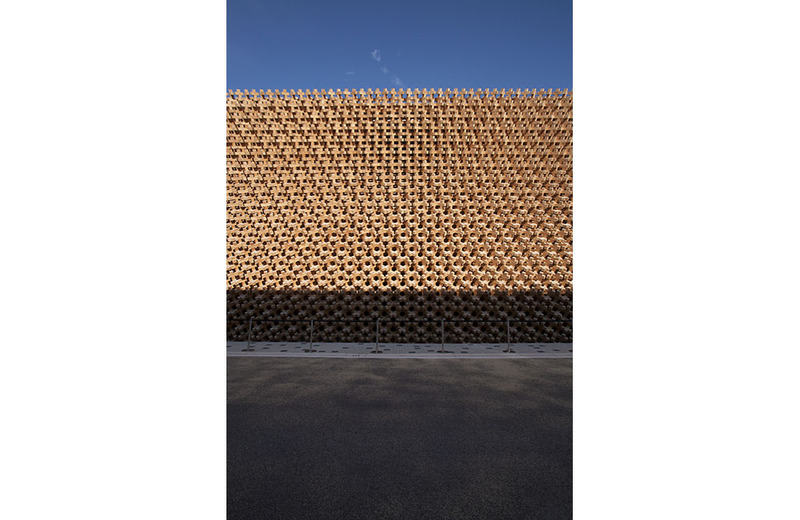 Ishimoto Architectural & Engineering Firm, Inc.
2019 © Atsushi Kitagawara Architects Inc.